We saw some great inventions in the den tonight, although what struck a chord with me was the collaboration of IP between different companies. When talking about IP, we often speak of non-disclosure agreements and trade secrets. While it is very important to protect one’s IP, this can also create a feeling of secrecy and distrust. I can’t help but think of Gollum from the Lord of the Rings, desperate to keep his ‘precious’ to himself! However, some of the greatest inventions and well-known products are born from two or more forms of IP working together. Take Teflon® for example; the compound was created in 1938, although it didn’t really take off until the early 1960s when it was used on non-stick cookwear. Sometimes, an invention needs to be combined with the right product or purpose to be worthwhile and vice versa. Ryan O’Rorke was first to face the Dragons this evening. He was hoping to secure a 75,000 investment in return for a 5% stake in his business, Flavourly. For a monthly subscription, customers receive a parcel filled with branded food and snacks, delivered directly to their home or office. Ryan O’Rorke facing the Dragons. As Ryan did not produce the food products himself, he may need to obtain a licence in order to sell or advertise them. A licence is an agreement between the IP owner and another party in order to use their work without infringing their rights. So this is about you working with small food companies, giving them the platform to show their brand. 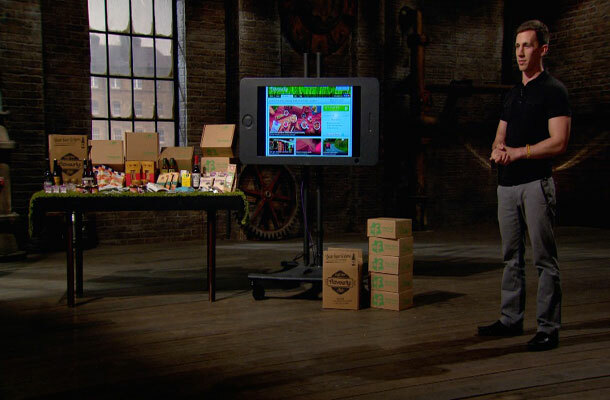 After delivering a tasty pitch with some appetizing figures, Ryan left the Dragons hungry for more. All but Kelly made an offer, although Ryan eventually struck a deal with Peter and Piers, who each offered half of the money for a 10% share. 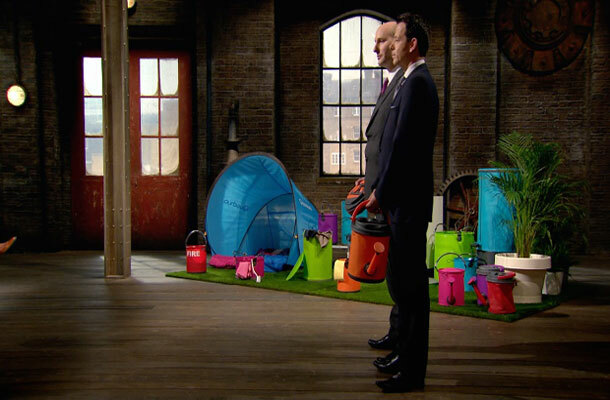 Later in the programme, David Fannin and Shaun Moore entered the Den with their range of collapsible camping products. They were pitching for 150,000 in exchange for 15% of their business, Colapz®. David Fannin and Shaun Moore in the den. Unfortunately for the duo, their products weren’t the only thing that collapsed. After a shaky start, things went from bad to worse when the Dragons uncovered that Colapz® did not own the rights to their IP. Sorcit is a product design and manufacturing business. We specialise in taking people’s ideas and turning them into reality and ultimately supplying the end product. Here we have another example of different IP owners pooling their skills to achieve a positive outcome. Inventors and entrepreneurs devise the concept and then Sorcit use their expertise as product designers to bring the product to life. However, while this sounds like a perfect partnership, it is important to clarify who owns the IP rights before entering into an agreement with another party. Did you know, our Lambert Toolkit was created to help universities and companies undertake collaborative research projects together? It contains a series of agreements to facilitate negotiations, including who owns the IP rights and how they can be used. Congratulations and commiserations to all the entrepreneurs in tonight’s show. If you want to find out more about licensing, our free IP Health Check tool has a dedicated module on licensing your IP as well as a new enforcement module. To license something has an 's' not a 'c' because it is used as a verb, but the licence expired has a 'c' not an 's' because it is a noun. Thanks for your comment. The wording of the blog has since been changed to advise that Ryan ‘may’ require a licence, depending on his intended use.